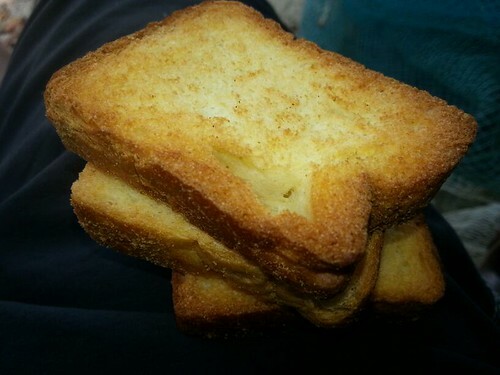 Rusks are pieces of white bread which are dried and baked until golden brown. In Kerala, India, particularly in Allepey, they can be bought in most variety stores and eaten as snacks with hot coffee or tea or made into breadcrumbs as coating for Cutlets (fish or meat cutlets) before frying, as in Japanese Panko. 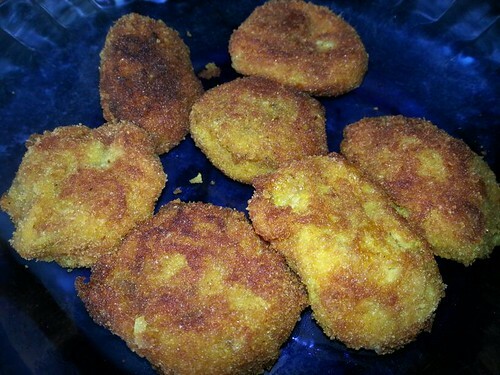 Picture below is a picture of store bought Rusks and pieces of Fish Cutlets coated with breadcrumbs made from Rusks.